Flexible PVC Pipe FAQ (Also see our glossary, PVC Fittings help, Shipping Options Page and Shipping FAQ pages. I would like to understand which type of PVC would be recommended to safely grow edible plants. I have read that some types of PVC may not be safe for potable water? Thank you. Rigid PVC pipe and fittings are 100% safe for food, water, human consumption, farming, livestock, etc. to the best of our knowledge and established science and standards. Our Flexible pvc pipe has an NSF51 rating. Generally NSF51 is considered safe for delivery and processing of liquids (wine, beer, milk, etc) during production, however the rating for our flexible pvc pipe is for swimming pools. It would pass an NSF51 certification for food if submitted but since 95% of the people using the product are using it for non-food applications it's not worth the money ($250K and up) to get a separate certification. Furthermore the product would also comply with FDA recommendations. The FDA does not give certifications, it only lists approved and banned products and generally as long as you aren't using any banned products then the product is considered "compatible" with FDA standards. As for growing edible plants with pvc such as hydroponics, we know of thousands of customers who use it for just that purpose, some of them organic certified, so we feel confident it would have no detrimental affects on plants or food. Does your Flexible PVC pipe fit standard Sch 40 fittings? YES! Both Sch 40 and Sch 80 fittings will glue to Flexible PVC pipe using standard PVC glue and primer. Cut the pipe, prime both the pipe and fitting, glue both pipe and fitting and stick them together. That's it. Just like any other PVC pipe. 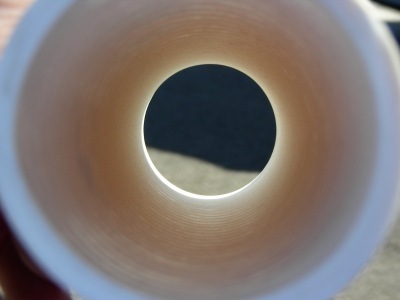 Is FlexPVC® flexible pvc pipe UV or Sun tolerant/resistant? On your 3 ways, 4 ways, 5 ways, and some other fittings, you show "furniture grade" and plumbing grade fittings. What is the difference? Primary difference is that furniture grade fittings have UV protection in the plastic to keep them from turning yellow in the sun. Also furniture grade fittings are not approved for use in plumbing projects for water or sewer or any other application that would normally be inspected by a city or county building inspector. They do not have an NSF or IAMPO certification. Plumbing grade fittings have very little UV protection, so they will turn yellowish after some time in the sun. If you are using UV rated fittings with UV rated pipe, you don't have to paint the structure or worry about the sun damage. If you are using plumbing fittings and/or plumbing pipe, and it's going to be exposed to the sun, you should paint or wrap the fittings in pvc pipe wrapping tape to protect them. As long as you understand these limitations you can freely mix and match furniture grade and plumbing grade fittings without any problems. We prefer people to use the online order in system, however if you have a disability or there is a problem with our website or the internet, or you are prohibited from putting your card number online or you just want to hear a human voice, yes you can use the toll free number at the top of the page to call in your order. However we have a special procedure on how to place phone orders. What we request is that you use the website to create the order first. Once you find the items you are looking for (and feel free to call if you don't know or can't find anything) update the quantity to the number of items you would like, click on the "add to cart button" and repeat as needed. When you are done adding items, click on the check out button/link. On the check out page you will #1, select your method of shipping, #2 & #3 fill in your bill to and ship to addresses, and then under #4 where it says "select method of payment" you have two options. Select the one on the right where it says "will send check or call with credit card." Then complete your order. Be sure to click on the button that says "submit order." Then check your email. You will have a copy of your order with prices including shipping. Then just call the toll free number 1-888-782-34539 and give your invoice number and we can take your card number via the telephone. (USA and Canada only. If you are international, we'll have to manually calculate your shipping and we will email you.) Also see please see our Return Policy as well because we do have different rules for orders placed by phone. What applications can this flexible pvc pipe be used for? What chemicals can be run through PVC Pipe? See our chemical ratings page. Do you have MSDS (Material Safety Data Sheets) for your PVC products? What type of glue do I use? All our flexible pvc pipe is glued using traditional PVC pipe cement and primer. We recommend medium to heavy bodied glue, clear or blue, and any standard primer. 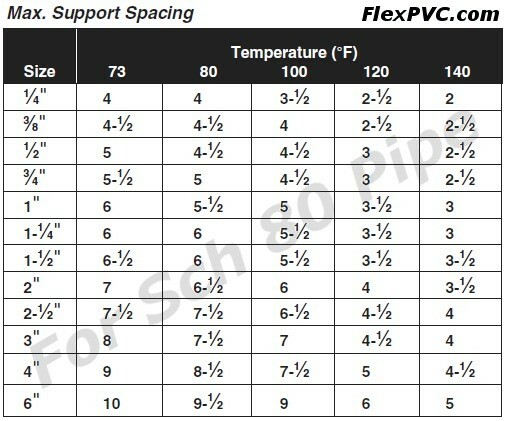 Here is a chart with all the different pvc glues for use with FlexPVC®.com pipe. (Shortcut: PVCGlue.com.) We do not recommend the gray glue. We do not recommend "universal" or "transition" glue. How can I identify my pipe size? I need some fittings. Do I measure the diameter of the the ones I have to determine the size? I know it is a silly question but someone told me that even if it measure 1.5 inches it does not mean I get 1.5 fittings. What you were told is correct. Fittings are identified by the type size of the pipe that they fit. Pipe is sold based on it's ID (inner diameter). If you measure the ID of your fitting you will be measuring the OD (outer diameter) of the pipe that it fits, and thus you would get the wrong parts. To get the right parts, use this chart: http://dims.flexpvc.com and measure the ID of your fitting and look in the 2nd col. for the OD of the pipe that matches it. Look in the first col. and that will show you what size of pipe it fits and what size of fittings to order. Sounds complicated, but it's much easier than you think. We have a PVC Pipe & Tubing Size Identification Infographic that might help explain it. So when you are ordering fittings, you start with identifying the pipe you are using and order your fittings to match. Can Flexible PVC pipe be used with DWV fittings? Yes and no. If they are DWV PVC fittings, yes under low pressure and gravity only (see question below). If they are ABS DWV fittings, probably not a good idea. The official policy is you should use sch 40 (or greater) pressure rated fittings all the time. Can Rigid PVC pipe be used with ABS fittings? First, you will need multiplastics cement/glue and any standard primer. For drainage/gravity and low pressure (10psi and under) generally it's no problem. For over 10psi, it depends on the fitting. Most ABS fittings are for drainage and have a very shallow socket. High pressure situations generally require a deep socket. It depends on the quality of the cuts, the quality of the glue joint and if there is any mechanical stress on the joint. NOTE: While may be able to do it, it'll not pass any building inspection unless your code allows it and if it does, it'll only be for drainage, venting and waste. We've never seen a building code that allows it for pressure and potable water applications. The official policy is you should use sch 40 (or greater) pressure rated fittings all the time. How do I know what tubing or hose to buy? Do you have any specifications on pvc pipe? How flexible is flex pvc? See our flexible pvc pipe page. What other kinds of tubing, hose, or pipe do you sell? I want to build a canopy out of pvc fittings. What fittings do I need? See our FlexPVC® PVC Projects Page for pictures of various ways to do it. There are several pictures on that page to give you ideas. Click on the links that say "annotated" and they have the fittings called out. What is the maximum distance between supports for pvc pipe? Below is the chart for Sch 80 pipe, for Sch 40 pipe you should reduce the unsupported span length by about 1'-2'. I.e. 1.5" Sch 40 pipe should be supported about every 4' at 100F temperature. How "clear" is your "clear pvc pipe?" Below is a picture which should give you a general idea as to the distortion (or lack thereof) and tinting of objects in "clear pvc pipe." First you can see how much the ball is tinted by one thickness of the pipe. But if you compare the backgrounds you can see how much 2 thicknesses of pipe will change the color. You can also clearly see it's easily readable thru the pipe. This is with a piece of standard Sch 40 "clear" pvc pipe. The thinwall has less tinting and even easier to read thru. See our NSF Rated Page. What codes do your flexible pvc pipe meet? Is flexible pvc pipe safe for fish tanks? Yes, good for fresh, salt water or reef aquariums, fisheries, ponds, etc. Warning: It's always a very good idea to wash all pipe and fittings if you are going to use them for anything to do with wildlife. For example, we use a natural pesticide in our warehouse, but you don't know what others use, or what the trucking company uses, etc. So to be safe, always wash the fittings and/or flush the system thoroughly before putting in any fish or livestock. This goes for bird cages and toys made out of PVC also. Can flexible pvc pipe be used in the home or for drinking water? No. The flexible pvc pipe we sell is not rated for drinking (potable) water. Flexible PVC is non-toxic, however it will pick up a "plastic" taste if water sits in the pipe for several hours. Also home plumbing systems are under constant pressure and so we do not recommend flex pvc for such applications. Has Flexible PVC ever been used for residential or commercial plumbing? When is "schedule 40" not schedule 40? There are two "Schedule 40" ratings. One is for dimensions and the other is for usage. Our flexible PVC is the same dimensions as Sch 40 pipe, but it's different from rigid pvc pipe in 2 very big ways: 1) Flexible PVC pipe is not rated for potable (drinking) water, and 2) Flexible PVC pipe will not take the same pressure rigid pvc will. (See PVC Pipe pressure & dimension chart.) Also, Flexible PVC pipe is treated as a hose by the building industry, not a pipe. Thus our hose fits Schedule 40 fittings (dimensionally) and can be used in place of schedule 40 pipe for many applications, but it does not meet all the requirements for schedule 40 pipe. (If you look at the specification on the PVC Pipe pressure & dimension page you'll see the pressure ratings are not the same as schedule 40 pipe.) So, while we call it "flexible pvc pipe" in reality it's a hose that fits perfectly into schedule 40 fittings, but it has a lower pressure rating, can't take dead head pressure and it not approved for potable water. (Potable water means approved for human consumption.) Irrigation, fish, nurseries, farming, livestock, etc are all okay provided you don't exceed the pressure ratings. There is also some information on this on Understanding and Identifying Your Pipe & Fittings. One of many technical articles on our Tech Help Articles page. What is the temperature range for this pipe? The recommended range is -30F to 140F. Of course you should always winterize your pipe by drain any fluid that might freeze during the winter. At temperatures over 140F the pipe becomes too soft and could kink at the bends. What are the Harmonized Tariff Schedule Numbers for your products? I can only find pipe rated for 73F, do you offer higher temperature pipe? To determine the pressure rating at a temperature other than 73F, find the temperature of the pipe and then multiple the percentage times the rating at 73F. For example 1" rigid pvc pipe is rated for 450psi at 73F. So at 100F, it's rating is 62% of it's rating at 73F, or 450psi x .63, which equals 284psi. Note: The temperature ratings above are for the temp of the pipe, not the fluid traveling through it. Typically the temperature of the pipe is much less than the fluid going through it due to radiation (heat loss) and the heat barrier effect, ie the insulating properties of the pipe. Also note most PVC Pipe is buried in the ground which usually is about 65-70F. The ground acts as a heat sink so even if you had 100F water running through the pipe, because of the heat sink effect of the ground the temperature of the pipe will be much, much less than 100F. In fact depending on the compaction of the soil the pipe might only rise in temp a few degrees above the temperature of the ground. Hence the reason it's rated at 73F since that is the most typical temperature buried PVC pipe will see. How much pressure/vacuum will Flex PVC take? How durable is PVC pipe in general, especially when compared to other products? 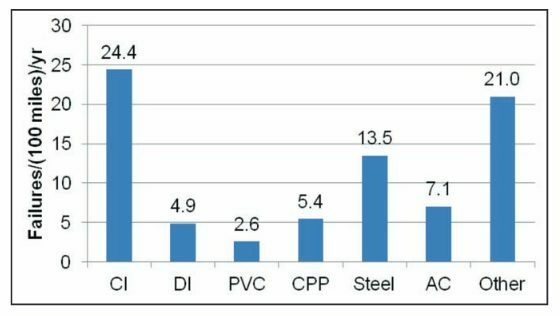 CI = Cast Iron, DI = Ductile Iron, CPP = Concrete Pressure Pipe, AC = Asbestos Cement, and "other" = HDPE, Galvanized, and Copper pipes. You can read the entire document at the link above but suffice it to say PVC pipe is by far the most reliable pipe you can use. Also there is a graph comparing Canada to the US and it repeats the same results. This was an enormous study which covered about 10% of all the miles of pipe in the ground in the US and Canada, so the results are pretty absolute. Can PVC hose, tubing or pipe be used for gasoline? For temporary or emergency use as a siphon hose it'll be fine. (But toss the hose when done.) As a permanent fluid transfer method, no. Gasoline will make the PVC pipe, hose or tubing brittle and cause cracks, which could cause a leak. The last thing you want with gasoline transfer is a leak. So it cannot be used for any sort of fuel line or conduit in a permanent situation. Can PVC hose, tubing or pipe be used for alcohol? Pure Methyl, Ethyl or Isopropyl Alcohol is fine. Something like E85 should be avoided for the same reason in the paragraph above. The gasoline in E85 is 15% which will cause the same problems with PVC tubing, hose, or pipe, just over a longer period of time. So you should avoid using pvc for e85, but pure alcohol is fine. See our chemical ratings page. How much water will flow through a pipe? 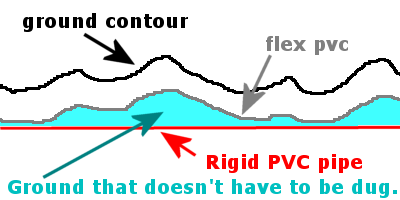 See our GPM/GPH Flow based on PVC Pipe Size page. These are just estimates. Individual systems can easily vary 50% based on the number of fittings, whether it's gravity feed or pump, size of the pump, etc. How smooth is it on the inside? We stock about 4500 parts but we have access to about 100,000 pvc fittings and other pvc parts as special orders. We put the most popular and unusual items on the website, but this is by no means our full line. To order something you can't find on the website, email us and we'll put it on the site for you to order. What's the minimum bend radius? 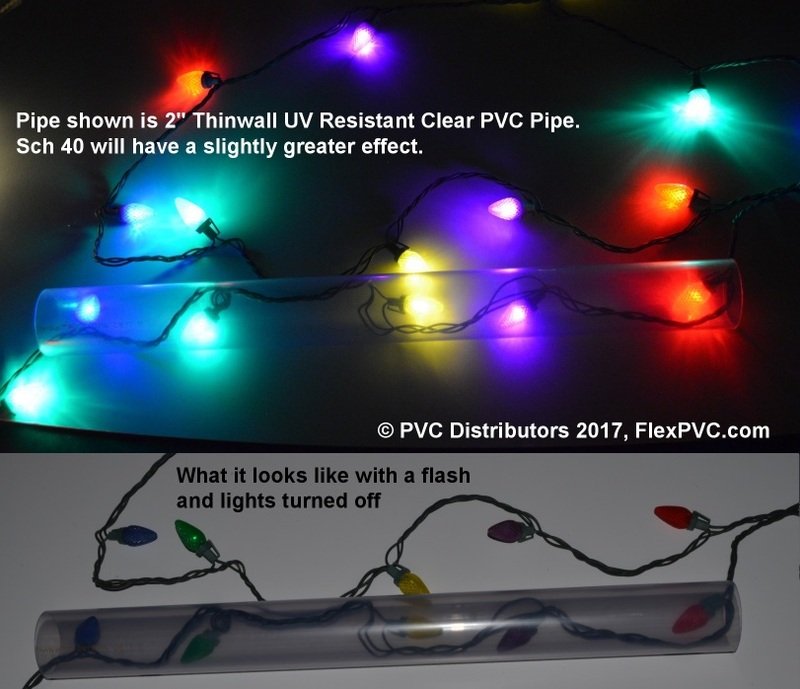 Why would I want to use flexible pvc pipe over rigid pipe? If you are going over terrain, you only have to dig down along the terrain. If you were using rigid pipe you'd have to go to the lowest point along the path and dig down to the desired depth, and then all along the path you'd have to dig down to a depth that will make a straight line. Thus you could be digging a lot more than would be needed if you used flex pvc. Also if you have a lot of rock, sometimes digging it isn't possible so going over it makes the job easier. Your trenches don't have to be straight or at right angles either. Any other reasons why I want to use flexible pvc pipe over rigid pipe? You can make smooth gradual bends instead of using a fitting which restricts flow and causes turbulence. Reducing or removing fittings results in better flow (more pressure and more volume.) By using flexible pvc pipe for your turns, you also save money by buying fewer fittings. Every fitting is also a possible leak, so you have less chance of trouble when using flex pvc. You'll have one long continuous run instead of many short pieces connected with a multitude of fittings. Do I have to take any special precautions with flexible pvc pipe? Yes, if it's being used in a pressurized system and you bury it in ground with a lot of medium or large sharp rocks, you should backfill with sand or earth without rocks. 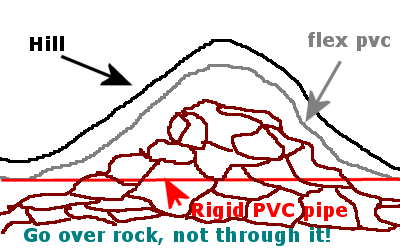 Under pressure the flex pvc moves and if it rubs up against sharp rocks, over time, it could develop a leak. If it's a non-pressurized use, then it'll be fine regardless of the backfill. Do not use it in a dead head pressure situation. Do I do anything differently when gluing flexible PVC Pipe? One thing you do NOT do is twist the pipe once it's inserted into the fitting. Just push straight in, and hold. Be sure you get a good coating of glue 360 degrees around the pipe and inside the fitting socket. Larger sizes need to be held for longer than smaller sizes of pipe. Other than that, it's the same as rigid pvc pipe. What is the longest continuous length roll of flex pvc do you offer? 100' rolls are the longest. The reason you see 500' quantities in the shopping cart is to give you a better price on larger quantities. If you order 500' you can specify if you want 10 50' rolls or 5 100' rolls in the comments section of the order form. Do I need special "flexible PVC Pipe fittings?" No, any standard pressure rated PVC fitting will work. There are a few people who sell special "flexible PVC Pipe fittings" however standard pvc fittings will work fine. We do offer "extra deep" couplings in standard sizes for extra protection or systems that work near the limit of the ratings for the pipe. The problem is, there are only a few fittings made this way. We've been using standard PVC fittings for 20 years without a failure due to the fitting. If you cut your pipe straight, clean it with primer, get a good uniform coating of glue on the pipe and fitting, and then hold the pipe in the socket for 10-15 seconds you will be fine. One thing: you do NOT twist the pipe once it's inserted into the fitting. Just push straight in, and hold. Be sure you get a good coating of glue 360 degrees around the pipe and inside the fitting socket. You will be fine if you follow these simple rules. Sorry, but we've discontinued the free samples. However, you can buy by the foot and often in the clearance section you'll find short pieces. Will I get my order faster if I call it in? Generally the best way to place your order is using the online shopping cart is the fastest way. If you don't want to to put your credit card online, you can use this method to place your order, just select "pay by check" and then call us with your card no. and order no. This way you get a record (via email) of your order as well. Please see our Return Policy as well. We prefer people to use the online order in system, however if you have a disability or there is a problem with our website or the internet, yes you can use the toll free number at the top of the page to call in your order. Please see our Return Policy as well because we do have different rules for orders placed by phone. Sorry we do not offer any printed catalogs. We use the website to showcase our products. See the home page and the six green buttons across the top of every page. If you go to the FlexPVC.com homepage you will see many pictures of fittings and parts. Each will lead you to a subpage for those types of parts with links into the shopping cart. There are shortcut pages listed at the top of this FAQ for common categories of parts. You can also use the navigation links along the left side of the page in the shopping cart as well. You will see different categories of fittings. Note: it's in alphabetical order, however, capital letters are shown above smaller case letters. For example, pressure relief valve are shown below PVC Unions because the CAPS are put ahead of smaller case letters. So when looking for something, look for both CAPS and smalls. :-) Also any sch. 40 sch. 80 plumbing fitting can be ordered. Many other parts are also available. 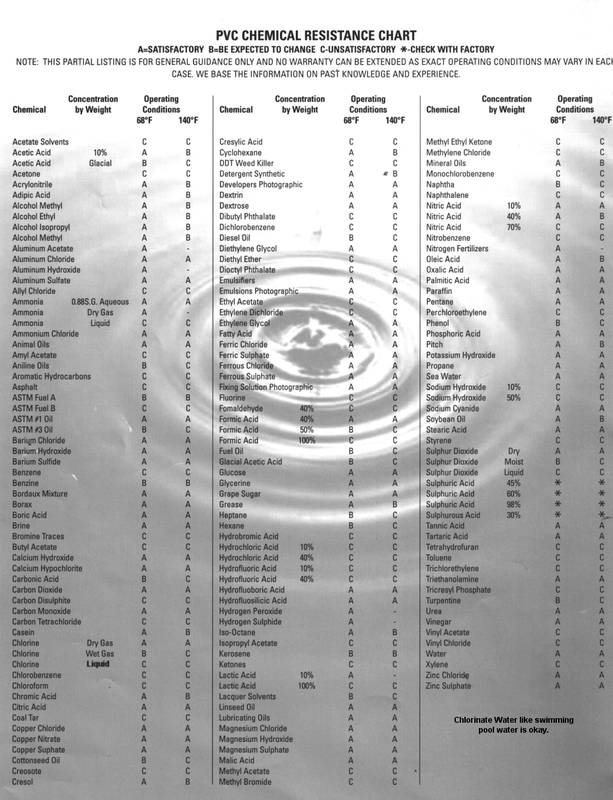 Many spa, whirlpool bath, pond, irrigation, and swimming pool fittings are also available. If you don't see it in the shopping cart, put it in the comments section of the order form and we'll contact you with the price and shipping time. You can also email us or call us at 888 782 3539 from 10AM PST to 4PM PST M-F and we'll help you find what you are looking for. Do you offer 3 ways, 4 ways and 5 ways any larger than 4"
The largest molded 3 way, 4 way and 5 way is 2". The largest constructed 5 way and 6 way that we stock is 3" and 4". If you want a 3 way or 4 way in 3" or 4", use a 5 way and just don't use 1 or 2 of the extra ports. If you want sizes larger than 4", we can make 5 ways and 6 ways for you. Just understand the cost for 6" and above fittings is many times what you probably expect. For example, where a 1" fitting may be $1, and a 2" fitting may be $3, a 4" fitting might be $21 and a 6" fitting may be $60. Ie, it's not a linear progression on the prices. Do you offer any side outlet 45's? Yes! Please see Side Outlet Tees at 30 degrees, 45 degrees and any angle fittings. Do you have any telescoping pvc pipe? See PVC Telescoping Pipe Possibilities. Do you offer pipe snap on clamps in any sizes larger than 2"? Sorry, just 1/2" to 2". See Snap on clamps. However we do have pipe mounting clamps up to 4".